Master of World of Warcraft : Avoiding few boss mechanics. This works in scarlet halls for Armsmaster Harlan when he is about to do blades of light you can just taunt him just when he does it it's really hard to time you most likely need dbm timers for this. In scarlet monastery it works for Brother Korloff when he is about to do Firestorm Kick. Works sameway as Armsmaster Harlan's blades of light just taunt him when he is about to do it. Works for kil'ruk the Wind-Reaver's reave ability on heroic also. I can imagine that this trick works for every similiar boss ability where they leap or something before they do ability. 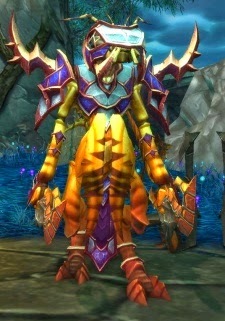 Just try to keep this in mind while going for WoD bosses and see if we can find more abilities where we can abuse this!